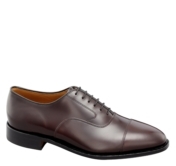 These shoes – or should I call them ‘boots’? – are HEAVY. The expensive, indestructible H.S. Trasks weigh five pounds. After wearing myself out on the gym treadmill walking @ three miles an hour for 14 minutes (up two minutes from the last vigorous workout) in my newly purchased near-0-pound black Skecher Pillar sneakers, I re-shoed my feet with the H.S. Tracks, recommended by my brother-in-law Craig years ago, for the trip to Costco. Maybe it was the shoes that caused the fall over the gas hose. Maybe not. But if it was the shoes, which pair was to blame? The new light-weight gym shoes? Or the five pound Trasks I’ve worn five years without falling? Gordon C. Stewart, Chaska, MN, Feb. 6, 2016. Think dogs don’t reason as we do? Think their reasoning is less precise? That they act only on instinct? Have no purpose of forethought? Think they can’t talk? Consider the shoe by the front door. The shoes belong to the “dog-owner” who has been upstairs blogging obsessively, ignoring his dog’s persistent pestering. 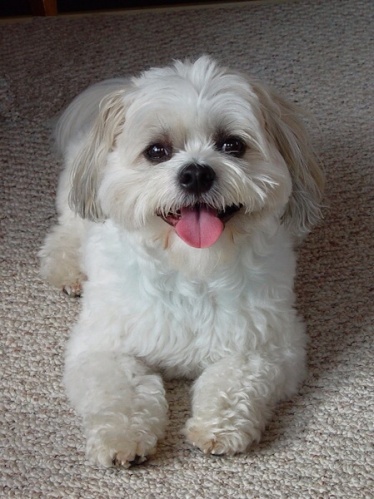 Sebastian pawed, scratched his back feet on the carpet, and barked. At first the blogger ignored him and then chastened for interrupting the important message he was preparing to send into cyberspace. Dog surrenders. Disappears for 10 minutes. Returns and quietly, without a word, jumps up to his customary place on the sofa in the blogger’s office. Blogger completes his thoughtfully reasoned cyberspace communication and decides it’s time to take the little guy out. 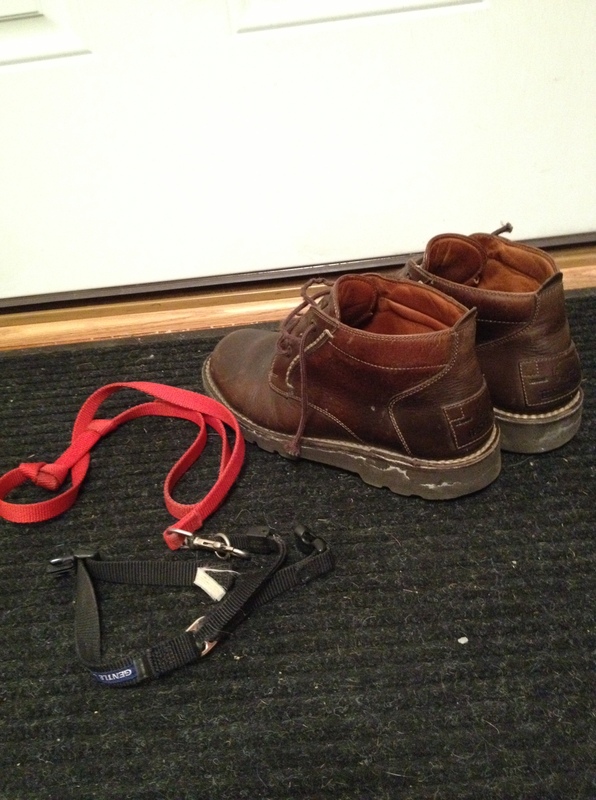 Blogger goes downstairs, takes off his slippers, puts on the left shoe next to the leash by the front door, and winces. Five years before my father’s death in July of 1999, the first of many false alarms had called me home to Pennsylvania. I had brought some reading material for the flight from Minneapolis to Harrisburg – James Carse’s Breakfast at the Victory, an autobiographical reflection on the mysticism of ordinary experience. So there I sat, strapped in, reading the Preface, the story of James Carse’s visit to this friend Charles who was dying of cancer. Carse had gone to visit Charles before walking an old pilgrimage route in Spain that leads from the French border to Santiago de Compostela in northwest Spain. As Carse made his solitary pilgrimage across Spain, slogging through the mud and cow dung produced by heavy rain and snow, he came upon “the outline of a familiar object crushed in the mire.” He tugged at the old boot until it came loose from its moorings in the mud to find the sole gone but its essential structure in tact. Could it be Charles’s boot? He took a picture which he presented to Charles when he next visited him. My face was flooded with tears. I choked back the sobs. Charles’s boots had been the essential equipment of a pilgrim, yet in the end they had not served him well. He had had to make the journey in his bare feet. So would Dad. My father’s boots were the role of ordained Minister of Word and Sacrament. One is ordained for life, he would remind me, not just for a particular job. Yet I always wanted him to take off his boots, expose his naked self, experience the squish between his toes in the primordial muck that is more real than social roles and expectations, the more ordinary sacred ground that required Moses to take off his shoes. I sobbed for Dad. I sobbed for myself, fearing that he and I would both die with our boots on. I cried for losing him. I cried for him to be free. I cried for barefoot authenticity. Five years later – it was July – I again flew to Harrisburg. Expecting my father’s death, I had worn a suit and my black Johnston & Murphy shoes, highly polished by the best shine man in the Minneapolis-St Paul International Airport, as a tribute to Dad – his shoes were always polished – but also because I have inherited Dad’s appreciation of good grooming, especially a pair of good shoes, shined to the max as a sign of dignity and self-respect. When I arrived at my folks’ apartment at the retirement complex, I took off my shoes and placed them carefully next to the grandfather clock in the living room. My mother had continued to live in the independent living apartment they had shared until seven months earlier when Dad’s deteriorating health had required moving him to the dreaded “Care Center.” The Parkinson’s had left my father weak and wobbly to the point where my mother could no longer manage his needs, and, with great distress, the move had been made that separated them after 62 years of marriage. My trip to Cornwall Manor, however, had been planned three months before. I had promised to drive my mother to a Titus family reunion in South Paris, Maine, our version of “A Trip to Bountiful,” a return to my mother’s roots. When we had laid those plans in April, the doctor had told us that my father had two weeks at most to live. Believing the end was near and knowing that my mother’s health had declined under the stress of watching Dad slowly fade away, I had made the plane and car reservations in the expectation that the July Titus family reunion would be several months after Dad’s death. To everyone’s surprise, when it came time for the Maine reunion, my father continued to survive against all odds. He had broken the doctor’s crystal ball. Although he appeared to be near the end – his ability to swallow was all but gone – it had been so for some time, and both Dad’s doctor and my parents’ pastor urged us to make the trip for the sake of my mother’s health. I explained to Dad that I was taking Mom home to South Paris for a few days for the family reunion. He smiled and nodded his consent, giving approval to meeting her need, knowing, perhaps, that it was the best thing for them both that he slip away without her having to watch and knowing that both he and she would be surrounded by family when he went. I was two years old again. My mother and I were back on the train following my father’s departure for the South Pacific in World War II. Only this time he wasn’t coming back. We wept. We talked. We engaged the guilt of having left him alone at the end. Yet I also believed that it was as it was supposed to be. My father had gone quietly into the night, knowing that he could go without taking care of my mother or my mother having to take care of him. It was for her that he had stayed alive; he had received permission to go. He knew she would not be alone when he went. While my mother and I prepared to return to Harrisburg, it fell to my brother Bob and sister-in-law Janice, who lived nearby, to gather the belongings from the room at the Care Center and deliver to the funeral director the clothes my mother had carefully laid out on the bed for Dad’s burial – his favorite blue suit, a silk tie, and my father’s favorite blue shirt. At the funeral home we made the switch, giving the director Dad’s shoes, just in case those who major in illusions are right and shoes are part of the pilgrimage to the other side. Which, of course, they aren’t. We all go out with bare feet. Over the five years between the first summons to Harrisburg and my father’s final breath, Dad and I had each discovered his bare feet. Each of us had begun to learn not to try to fill shoes that aren’t ours. For Dad it was the shoes of Harold, his older brother and a family icon. For me, it meant exchanging my father’s and my uncle’s imagos for their humanity. Physical weakness has a way of compelling onlookers to see reality. Any illusions about enduring greatness are dashed by the ticking of time in the human body. Yet if I had made some progress toward releasing myself from the icon of my father’s goodness, I have also learned that the recovery is never quite complete. Expectations lurk in the night, waiting to cast their shadows. He went on to say that everyone there would want him to say something personal about what a gift from God Ken Stewart’s life was for us all. He extolled his selfless, joyful giving of himself for others. He did not say, nor perhaps did he know, that it was hard to tell how much of my father’s generosity and “selflessness” arose from his need to win others’ approval, how much of it arose from the stolen self-esteem that lived in Harold’s lengthy shadow, how much of it arose from the unconscious suppression of his own needs, and how much arose from the call to follow his Lord. All of that was true. Memory took me back to age 13 when I had brought home a seventh grade report card filled with Fs. My mother had wept and responded the only way she knew how: “Wait ‘til your father comes home!” I went upstairs to my room to await his arrival. The wood stairs in that 125-year old manse creaked with every ascending footstep, but the steps were slow and soft, not fast and hard. What Dad saw when he entered the room was an ashamed first-born son sitting on the edge of the bed with his head down. Without a word, he sat down next to me, put his arm around my shoulder and said, “Hi Skip. It must be pretty bad. Tell me how it is.” Compassion was his middle name. It all rang true. At those words, my body convulsed. My hand involuntarily squeezed Kay’s and my Mom’s, a vein of grief tapped deep in my soul. It was as though my father were saying to me, “Gordon, preach the gospel” – the same charge he had delivered to me at my ordination 32 years before, a charge which I had failed. I wanted to scream:“No! My father’s life was not the gospel. It bore witness to the gospel, but his life was not the gospel. My father was not Jesus Christ. He was just another child of God who struggled to get it. He was a child of God and of John Thomas and Sophia Campbell Stewart of Prince Edward Island and east Boston, brother of Mary, Harold and Olive, husband of Muriel, father of Gordon, Donald and Robert, who, for a time, bore the privilege of ordained pastoral ministry, his humanity as broken and scarred, as imperfect and flawed and complicated and messy as the worst rogue that ever occupied a pew.” The preacher had elevated my father to sainthood, to an icon, an image that bears little resemblance to the human reality. In his best moments my father understood that the gospel is not about our achievements. In his worst moments of living in the shadow of Harold’s image, he believed it was. His whole life was a fight against that perversion, that belittlement. He preached because he needed to be convinced again day by day that there was a greater light than Harold’s shadow. He preached it, as in an anthem he had written, sung by the Choir of St. Andrews Presbyterian Church at his funeral, “from mountaintops filled with promise” but also “from valleys of deep despair”. He was a stranger to neither. I was back in the pew convulsing with unspeakable guilt and sorrow. I could never make it right. Then I remembered the shoes and recalled my father’s unconditional support during the most traumatic time of my life that had led me to ministry outside the church at the Legal Rights Center. It was right that I have a pair of shoes that fit my own feet. Dad no longer needed to fill Harold’s shoes. I no longer needed to fill my father’s shoes. When the end comes, it is altogether clear. Our boots wear out. Bare feet are all we have – just us, our bare feet, and mud, the self shorn of all ego.